New Pancake Day T-Shirt Design! 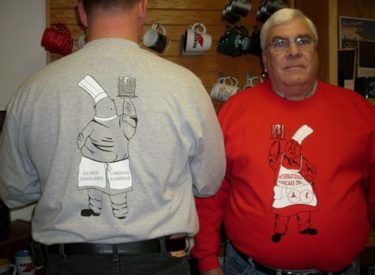 The International Pancake Day Committee has unveiled the new 2011 Pancake Day T-Shirt design. The new logo will be featured on merchandise available for purchase for the 2011 International Pancake Day Celebration. The dates of the festivities in 2011 are March 5th through the 8th.